Just bought a generator to use for emergency power. I want to hook it up to two circuits and am looking for the right equipment. 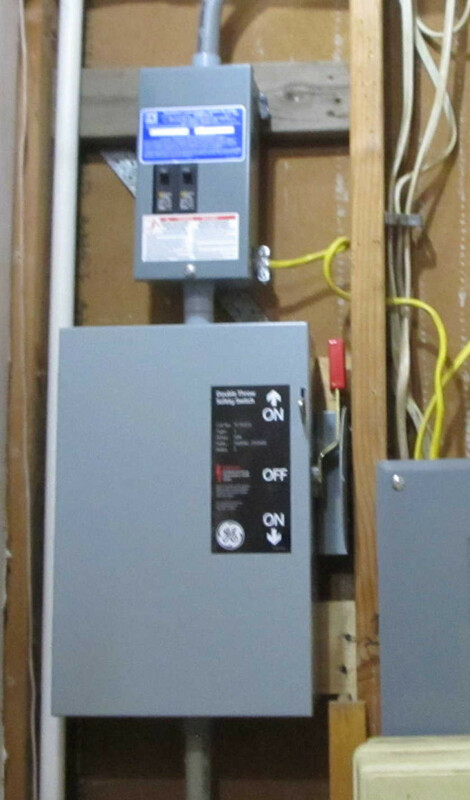 So I would run those two circuits out of the electrical box to another box where it could switched. They have some single pole double throw switches that go on a rail that look interesting, they're only like $10 each. Is there a breaker like double throw switch? I hooked up the Switch I bought, it worked out good. We had a test when the power went out for some hours the other day. We went years and years and only had brief power outages. I ran 2 circuits, one for the kitchen and one for upstairs where my wife watches TV. It ran everything without any problems. Having AC kept her happy.